i just wanted to take a moment and introduce myself as required by the forum. I am new to the Hudson world but like to be an outsider. I own a 1935 Hudson Terraplane coupe that I plan on turning into a custom street rod restomod. This should be a fun journey lol and look forward to opinions and advice as I do my build so anyway talk to you guys soon as I do need a ton of parts. Welcome to the H-E-T Club's "Open Forum", Guido! I think you'll find our forum members to be helpful, so go ahead and "ask away". 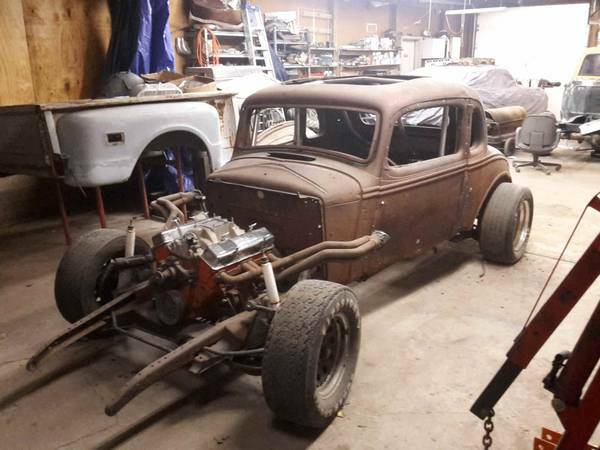 For the "resto" portion of your project, you could post questions to the "Hudson" category, and for the "Mod" portion, the "Street Rods" section will probably get you a lot of good advice on modifications. You would find the Club to be a great source for information and parts, and a portal to the worldwide fellowship of Hudson owners. There's a great bi-monthly printed magazine. There are many local chapters which you can join, and Hudson gatherings on a local, regional and national level. Hope you'll join, and participate! What engine you planning to drop in it? Got potential to be a pretty cool ride man. a 350 or something would fit in there nice. Also good trans options. I've got a 34 Terraplane Coupe that I've been working on for years. 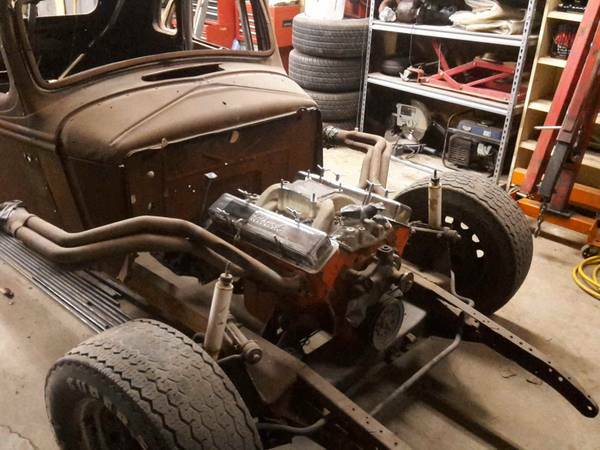 It has a 406 Chevy small block with a TH350 trans, 355 gear 9 inch ford rear/with posi, mustand ll front end, Wilwood disk brakes and Ride Tech air ride. It's at the painter getting painted and then off to the upholster. If you have any questions along the way, let me know. I've probably encountered most of the issues you'll have. Body parts I needed were all found through this forum. You'll find these folks to be very helpful. Your pictures didn't show up on your post for me, so I don't know if you're running the hood side curtains or not? If you're not, and still have the hood side latches, I'd be interested in the front latches and brackets. Good luck on your 35! Hi Guido, over on the Hudson Modified face book page you can find a few cars of your era that have been modified. My favorite is a 34 resto mod that runs a 350. Welcome to the world of Hudson's. You might check out HETclub.org the official site of the National Club. Hudson folks are very open to modifications to Hudson products... Photo's and where are you located. Has anyone thought of using a more unusual V8, say a Buick nailhead or better yet, a more appropriate family relation AMC 2nd or 3rd gen V8? Distributor in front so easier fit! AMC V8 woulddo it for me. A lot of hop up parts available and a Hudson linage. I have often considered doing a BMW straight 6 conversion. May be the best straight 6 ever built. I put a 1967 289 ford engine along with the automatic transmission in a 46 Pickup truck. (it came to me with a 308 installed, but knocking )The swap was super easy, didn't alter the Hudson frame or body. so it could be put back to original. I did it with limited tools, very limited swap experience and all done on a sandy driveway.